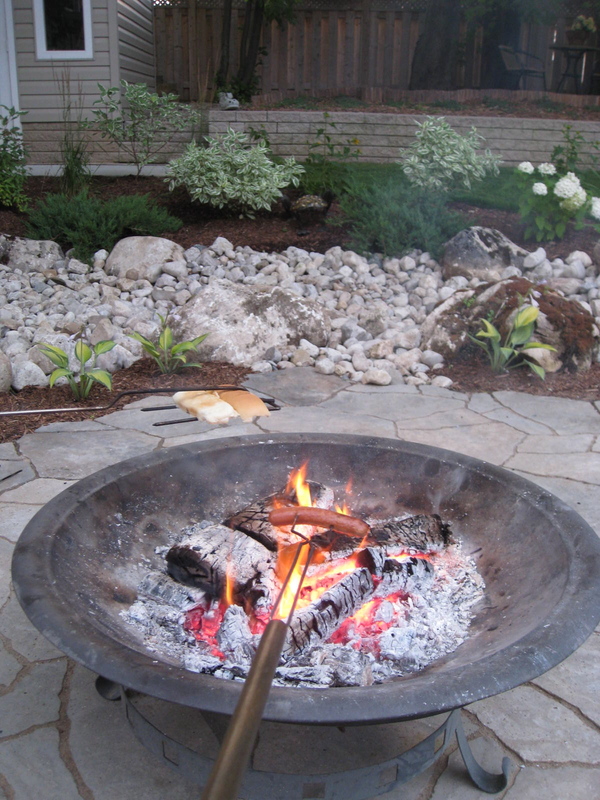 A favourite way to spend a summer night in our newly landscaped backyard! We just didn't do this often enough! 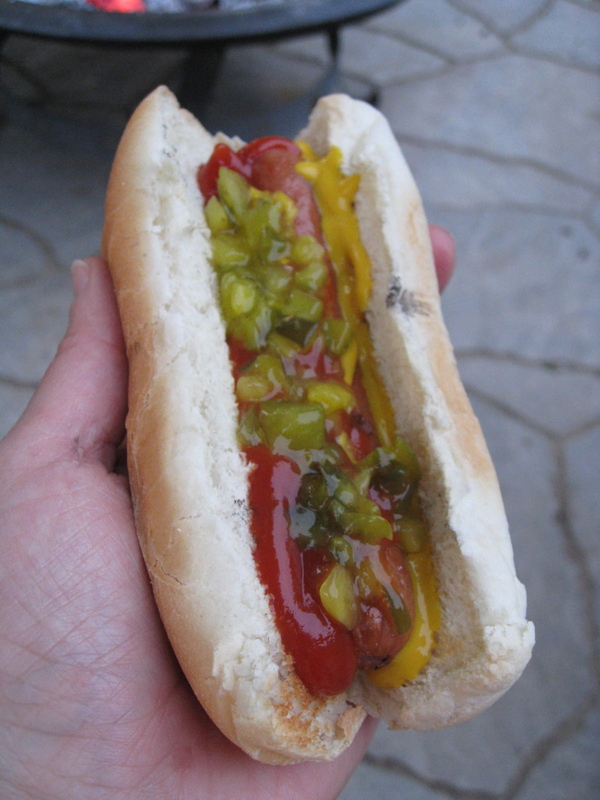 Hot dogs taste best cooked over an open fire and eaten outdoors - slathered in condiments! It’s been quite awhile since I’ve posted something (anything!) on my blog. I’ve got excuses! Lots of them. * I’ve been busy with my work blog – Everything Eggs. 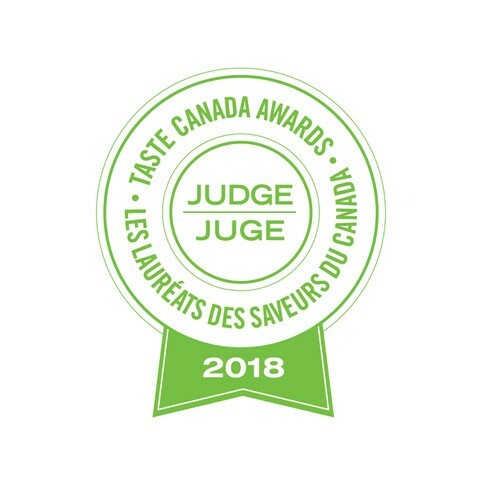 * I had to develop recipes to teach a couple of Afternoon Tea classes – one at Thyme to Cook in Guelph and the other at Household China and Gifts in Waterloo. 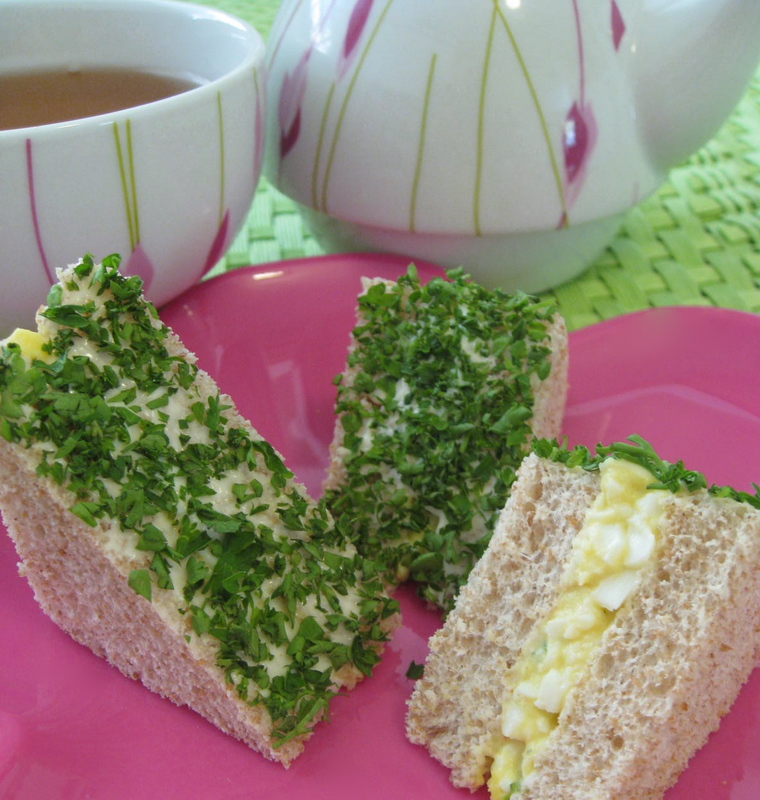 Triangle- shaped herb-crusted egg salad sandwiches pair perfectly with a cup of tea! * I’ve been doing some recipe development and food writing for Roomplanners‘ e-zine.